Annual native to southern Europe, growing wild in stony, uncultivated areas with lots of warm sun. 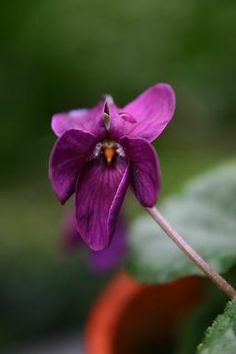 Cultivated throughout Europe as a beautiful plant to add texture to gardens as well as for its medicinal uses. Grieve’s historical research led her to say that “it is said to have obtained its name from its high reputation as a heal-all, being supposed even to cure the plague”. The plant was recorded as medicine definitely by the late 1500’s (probably earlier), and even Shakespeare wrote in Much Ado about Nothing, says: “Get you some of this distilled Carduus Benedictus and lay it to your heart; it is the only thing for a qualm…. I mean plain Holy Thistle” (Grieve, A Modern Herbal). 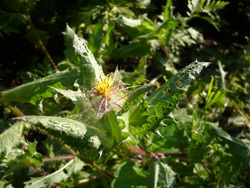 I first met blessed thistle in an English style hedged garden at Perennial Pleasures, in East Hardwick, Vermont (perennialpleasures.net). I was immediately struck by the coexisting softness and sharpness evident in this plant. It’s almost feathery yet sharp, radial flower center are surrounded by the long downy leaves capped in irregular teeth, the whole plant seemed dense but only grew about 2 feet high. The multifaceted texture was complimented in this garden as it was growing amongst globe amaranth, double-headed echinacea, mugwort, nasturtium and holy basil. 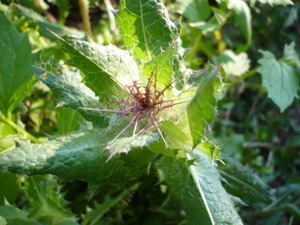 Perhaps the best known ways in which blessed thistle is medicinally used is a galactagogue (a group of plants that can increase the flow of breast milk) and a bitter (bitters stimulate the digestive system). As I learn more about this plant I will post some specific info on how it works to promote milk production. Do any of you know? According to asklenore.info, a combination of blessed thistle and fenugreek taken for increasing milk flow is more effective than taking either of the herbs alone. Lenore also says (which I have heard from nursing mothers) that it takes the herbs increase milk flow by the 3rd or 4th day of taking them. gastric and bile secretions” blessed thistle can be helpful in any digestive disorder where there is sluggishness, gas, colic, or where a toning effect is needed (diarrhea or hemorrhage) (Hoffmann, A Holistic Herbal). 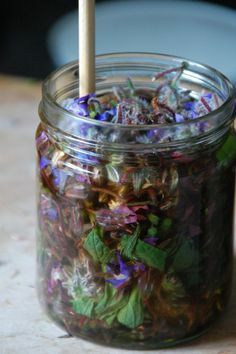 Matthew Wood has said medicinal plants have about 30 uses, 5 or 6 of those uses are pretty effective, and usually it was 1 use at which it excels. 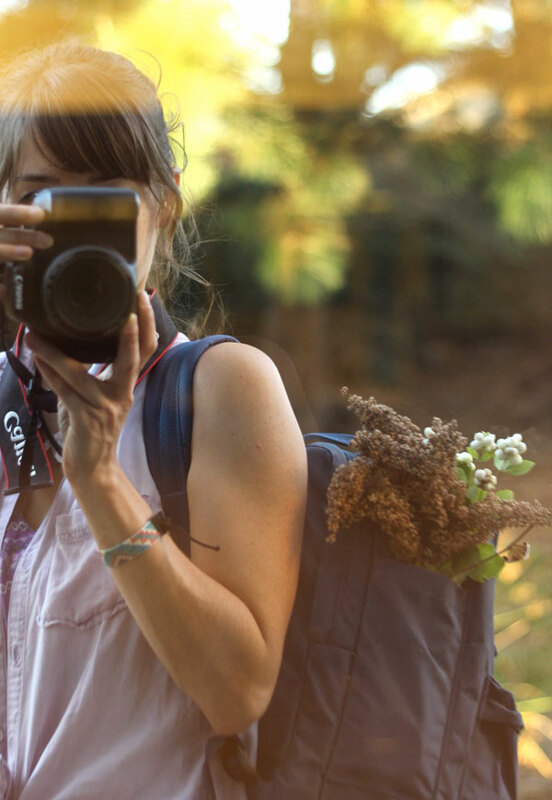 What are some of the other, less common uses for blessed thistle? Grieve says, “In large doses, Blessed Thistle acts as a strong emetic, producing vomiting with little pain and inconvenience” and calls it a “most useful diaphoretic” (a group of plants that promote perspiration) for intermittent fevers. 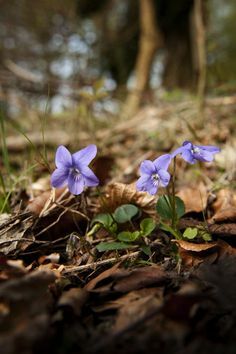 There is also some mention of it used to help circulation and memory (Grieve) (by circulating blood to the brain); perhaps this action is related to its diaphoretic action. In 1652, Culpeper mentions that blessed thistle (then know as Carduus Benedictus) is a herb of Mars (because of the sharpness) in Aries, and used for jaundice, gallbladder problems, clearing the blood among other uses (see www.bibliomania.com/2/1/66/113/frameset.html for Culpeper’s complete herbal). As a matter of personal preference and general herbalist’s convention, I almost never take dried herb capsules. A strong medicinal tea or alcoholic extract (tincture) have proved more effective to me time and time again. Once I bought echinacea capsules at Wal-Mart (stupid, I know, but I was new to the herbal thing). The local herbalist told me to open up the capsule and taste the herb on my tongue. I did; it tasted pretty bland. She then gave me a drop of echinacea tincture on my tongue to compare, and the difference was astronomical. The tincture made my whole mouth tingle-as is common with echinacea. The dried capsule had none of that buzzing effect. However, it is entirely up to you as to what method you take herbs in, and there are times when capsules are helpful. Lenore (above) prefers capsules to tea, but perhaps that is because she is not familiar with medicinal strength teas. A medicinal tea is much stronger than beverage teas (the way most people make tea) and purposefully acts to ensure the highest amount of medicinal activity. That may be a topic for a future post (if anyone needs instructions on how to make a medicinal tea please email me dandelionrevolution @gmail.com).